Registration for the Summer 2018 semester is open now! For information about signing up for summer classes, visit www.kellogg.edu/registration. To apply to KCC online for free, visit www.kellogg.edu/step1. Interested in studying business? Here’s a list of several business administration (BUAD) classes offered at Kellogg Community College during the Summer 2018 semester. For a complete list of Summer 2018 semester classes offered at KCC, visit www.kellogg.edu and click on “Class Schedules” in the top menu to search for sections. A survey course analyzing business organization and management in the areas of marketing, finance, human resources, electronic commerce and operations management. Emphasis is placed upon developing a vocabulary of business terminology and acquainting the student with careers and opportunities in business. Cases and current events related to business practices are utilized. This course consists of an overview of global business today. It is designed to provide the student with the basic concepts and theories pertaining to global business. Included are import and export strategies, global trade, global electronic commerce, economic and political trade issues, cultural aspects, developing and developed countries. The basic function of global business, including managing, marketing, financing, producing, electronic commerce and transporting will be discussed on a limited basis. An analysis and application of the basic principles of management. Subjects will include management by objectives, supervisory leadership styles, current managerial problems, motivational techniques, organizational problems, communications, planning techniques and management control systems. Emphasis will be placed on individual and group involvement through case problems, group discussions, role playing and other individual involvement methods. An analysis of the management of personnel from the viewpoint of the individual supervisor and the personnel department. Subject content will include corrective discipline, grievance procedure, collective bargaining, job analysis, interviewing and placement techniques, performance evaluation, psychological testing of employees, and supervisory development and motivation. These subjects are presented through individual and group involvement techniques, such as case studies, discussions of current problems, and role playing. General overview of the U.S. legal system covering laws, court procedure and selected current significant legal rulings. An analysis and application (through the case study approach) of the concepts and rules of law with particular emphasis on the Uniform Commercial Code. Contracts, torts, commercial papers and electronic commerce will be covered. Secured transactions, business organizations, partnerships, corporations, electronic commerce, bankruptcy, trusts, bailments, estates, wills, property, leases and mortgages and insurance will be covered. The case method will be employed, and selected current significant legal rulings will be discussed. This course discusses the techniques that can be applied to personal financial management. Key components of this course include concepts and strategies associated with money management, taxation, savings and retirement planning, consumer credit and financing, insurance (auto, home, life and liability) and investment strategies. A basic principles course emphasizing statistical techniques, particularly their application to business and economics. The study of descriptive statistics leads to an understanding of measures of dispersion and central tendency. With this background, the student progresses to probability and sampling theory leading to inferential statistics. Various tests of significance are studied including chi-square, analysis of variance, and the binomial distribution using real-world examples. Finally, the relationship between data is studied using regression and correlation analyses. The use of the computer will be introduced throughout the course. The functions of the marketing mix are analyzed as to how they interact with each other, with other business functions through electronic commerce, and with several components of the business environment. Understanding of these marketing functions is developed through a study of a variety of applied marketing problems, exercises, internet searches and business case histories. Analysis of human behavior in organizational settings with the purpose of determining appropriate leadership styles. Emphasis on resolving human dilemmas in the organization. There will be case studies, critical incidents and role playing. Simulation models are augmented with lecture and cases to maximize student involvement. The first Summer 2018 classes start May 14, and the semester ends Aug. 8. For information about signing up for summer classes, visit www.kellogg.edu/registration. 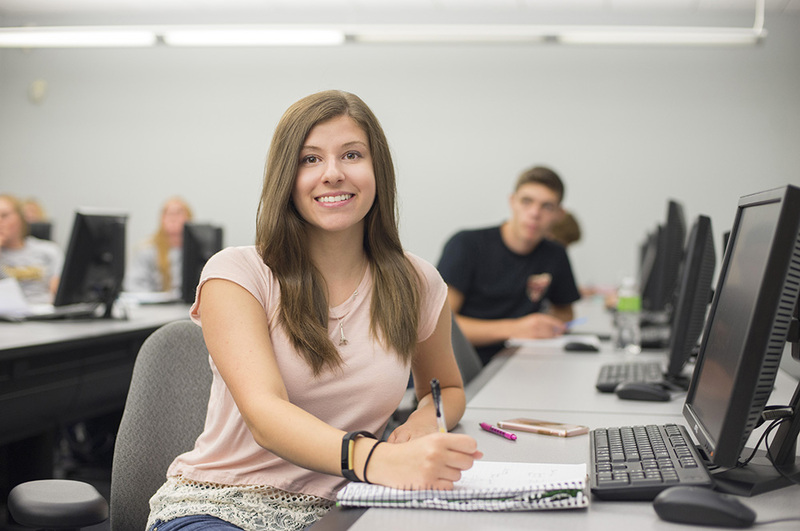 For more information about Business and Information Technology studies at KCC, visit www.kellogg.edu/business-information-technology.